Lock 71 is in better condition than most locks along the Canal considering it is the last of the composite locks. 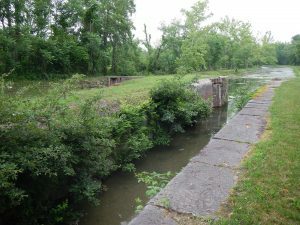 It was built mainly of stone but the lock pockets were replaced with concrete. A similar white frame lockhouse to the one that can be seen at lock 70 sits here.